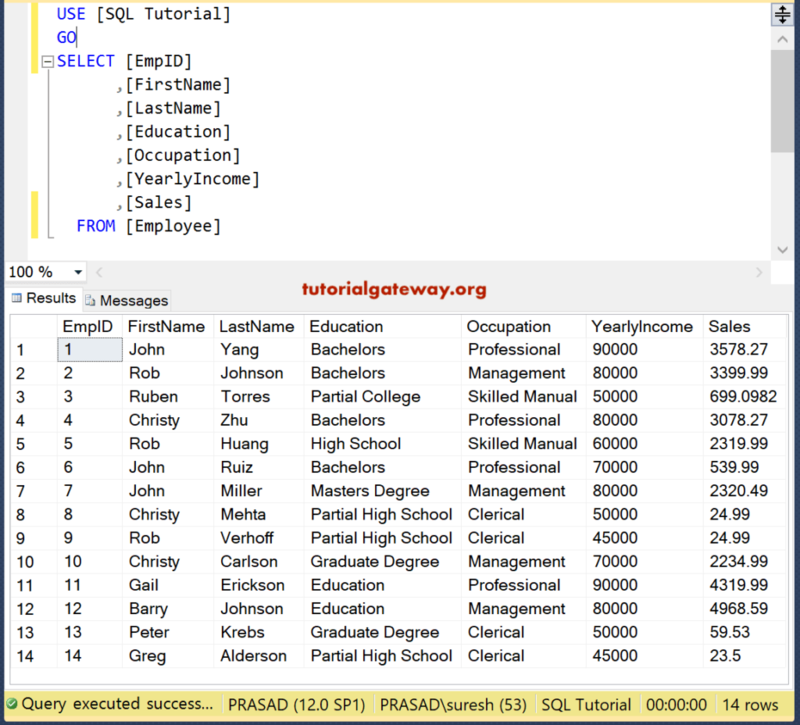 The IN Operator in SQL Server is used to restrict the number of rows (or records) returned by the SELECT Statement. 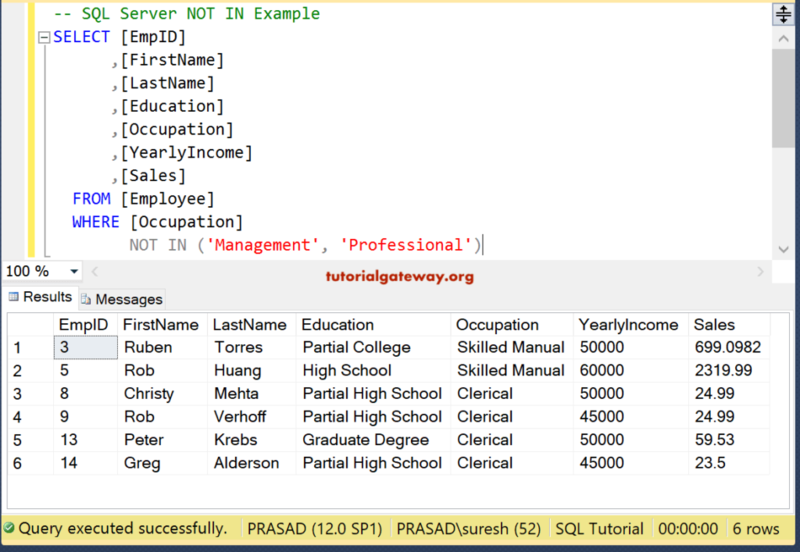 TIP: If you want to check the expression against Multiple values then use IN Operator in Sql Server. 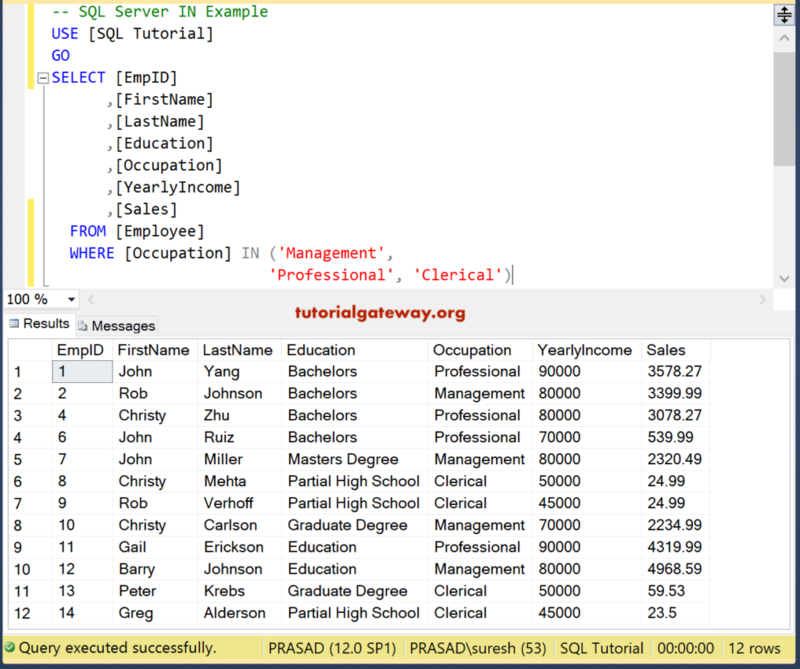 Values: Here we have to provide the values or expression we want to check against the Column Name. 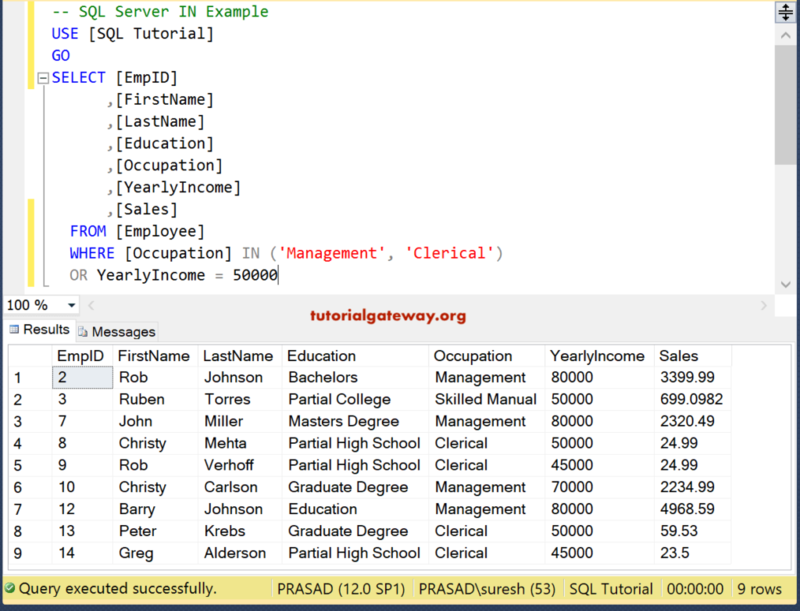 If the column name matches with any Value then only records will be displayed. Let us show you one more example for better understanding. 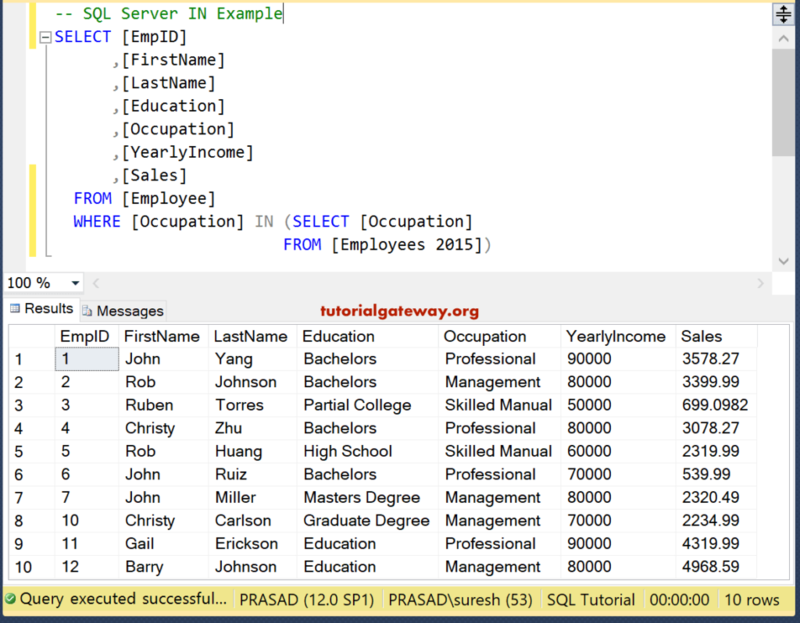 You can use any data type column inside the IN operator. 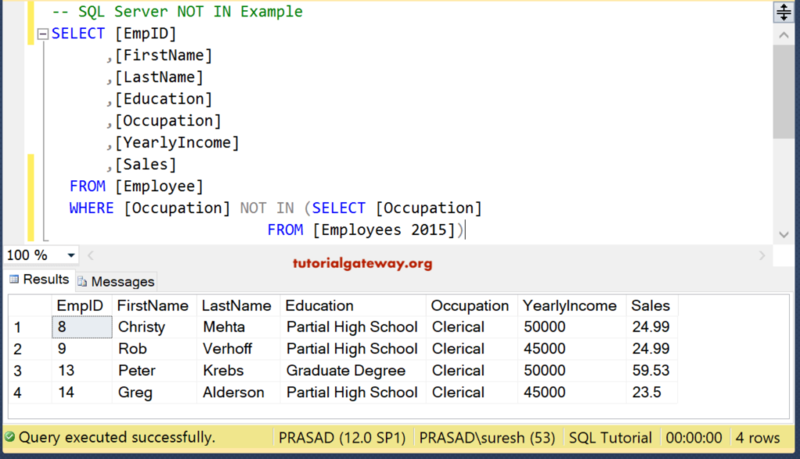 We can also use multiple operators in single WHERE Clause. 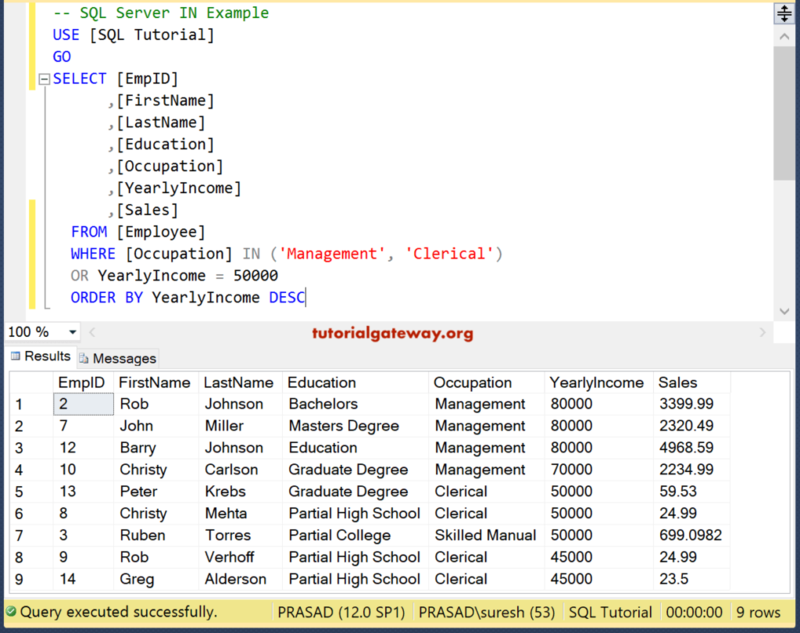 In this example, we are going to use SQL Server IN Operator (Arithmetic Operator) and OR Operator (Logical Operator) in a single statement. 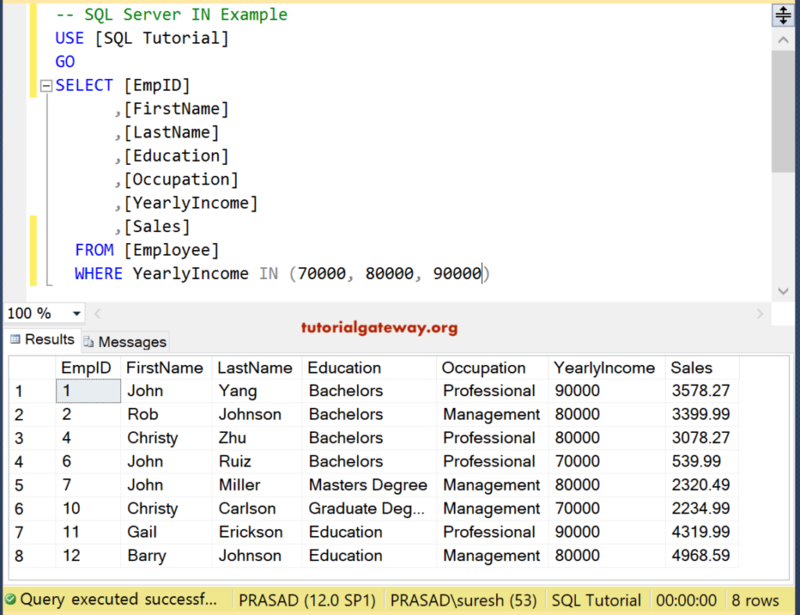 In SQL Server, you can use this IN oalong with the Order By Clause. 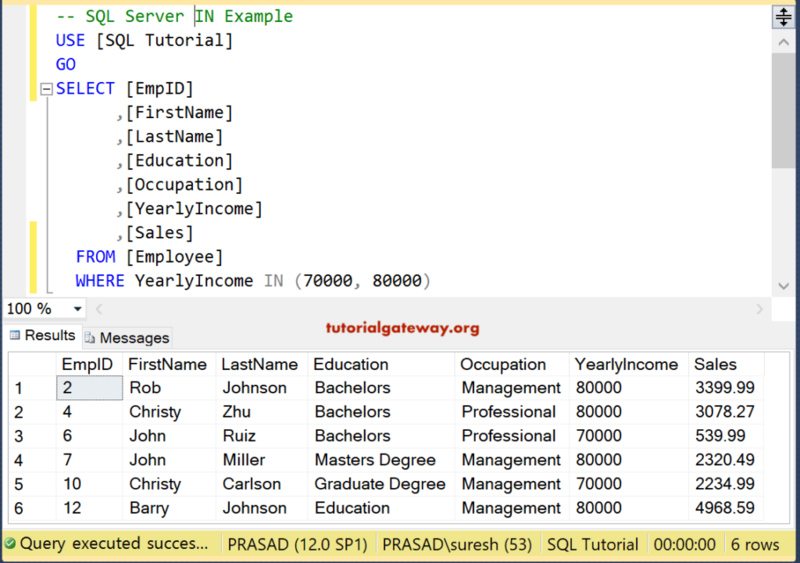 Here, Order By Desc will sort the query result in descending order based on the yearly income column. 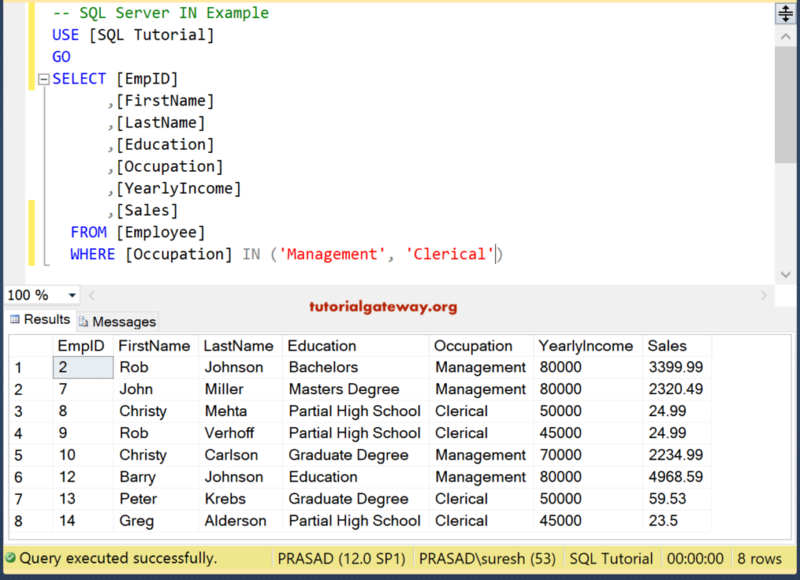 The IN operator allows you to use it inside a Subqueries in Where Clause. 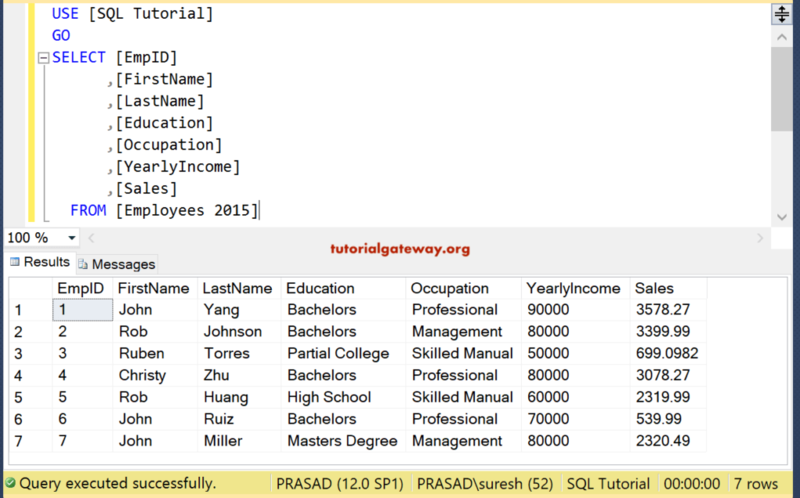 For example, the following query will return all the Employees whose Occupation is present in the Employees 2015 table. 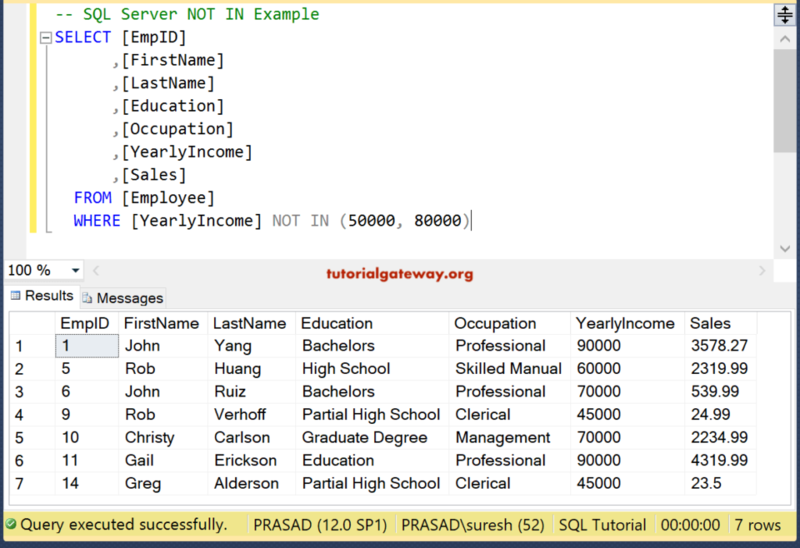 In Sql Server, you can also write a Subquery inside the NOT IN operator.